When you live in the Decatur area, summers can get unbearably hot, and winters can get chilly. At Cote’s Mechanical, we know just how important it is for you to have a home that stays cool in summer and warm in winter. Whether you need repairs to get your HVAC system running again or a new system installed, our team can help. Cote’s Mechanical provides timely HVAC repairs and quality installation services for residential and commercial customers in Decatur. Our company’s goal is to help you keep your home or business as cool or warm as you need it to be, all throughout the year. When you hire Cote’s Mechanical for A/C and heating unit installation and repair in Decatur, you’ll get help from licensed and skilled technicians with years of experience. 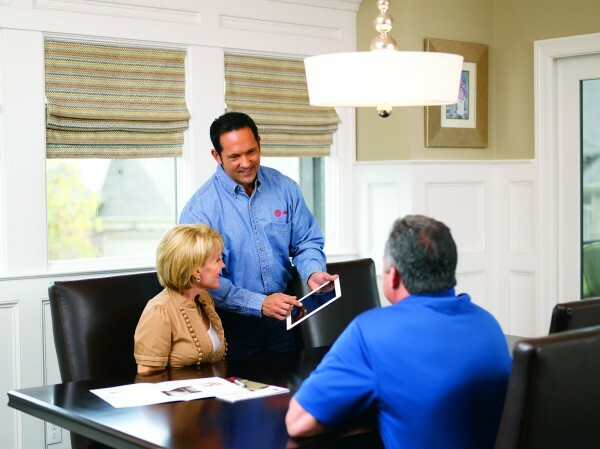 Our team has the knowledge to help you pick out the best new HVAC system for your home. When you need repairs done, you can count on us to show up on time or even earlier than expected. We also offer attic insulation and ventilation services, which are also essential parts of keeping your home comfortable. The technicians at Cote’s Mechanical can also do routine maintenance on your heating and cooling system. This helps your equipment last longer and operate efficiently to save you money. We provide replacement services as well when you need your HVAC system or some of the equipment removed and replaced. You can rely on our team of heating and cooling technicians in the Decatur area to take care of all your HVAC needs. Cote’s Mechanical has been providing exceptional heating and cooling services in the Decatur area since 2001. Cote and Kristi Wyatt started the company to ensure that homeowners in the area can enjoy a comfortable home throughout the year. Our devotion to providing high-quality service for all of our customers has earned us some impressive accolades. Angie’s List awarded with the Superior Service Award in 2016, and the Air Conditioning Contractors of America (ACCA) has accredited our company. We have also earned an A+ rating from the Better Business Bureau, along with certification as a Trane Comfort Specialist. How happy have our customers been with our service? Our online reviews contain numerous references to our prompt services. Our technicians show up as quickly as possible for emergency repairs, even on Saturdays, Sundays, and weeknights. Our customers appreciate being able to depend on us to get their A/C running again during Decatur’s hot summers. Around 6,721 people live in the small city of Decatur. The city is located close to major cities in the area, including Denton, which is about 30 minutes away via US-380 E. Driving to Dallas takes about an hour, while driving to Fort Worth takes about 40 minutes. Those who live in Decatur have a number of historical places to visit. Wise County Heritage Museum features firefighting equipment, fossils, antique household furnishings, and more. Residents can drive past Waggoner Mansion and admire its Victorian architecture. Decatur also has several local parks available for residents to enjoy. Melba Doyle Park features a Frisbee golf course, while Harmon Park has a large playground and many other amenities. When you’re hungry, head to Sweetie Pie’s Ribeyes for homestyle cooking, or have lunch in a quaint, old-fashioned diner at Whistle Stop Cafe. Decatur residents who want to get involved in their community can find volunteer opportunities with the Decatur Public Library. Local Boards and Commissions, including the Main Street Program Advisory Board and the Planning and Zoning Commission, also have volunteer opportunities available. When you’re in need of reliable HVAC services for your Decatur home, contact Cote’s Mechanical to set up an appointment. We’ll arrive promptly and provide you with reliable heating and cooling services. I couldn’t be happier. Cote was very responsive when my AC unit malfunctioned. He came out ASAP and fixed it in a hurry. I am also thankful for his ongoing maintenance plan which saves me a lot of $ and headaches in the long run. Replaced capacitor on Carrier A/C unit. Unit is operational again. Replaced capacitor on Arcoaire AC unit.